Age is only a number for recent Pensacola State College graduate Catherine Moore. 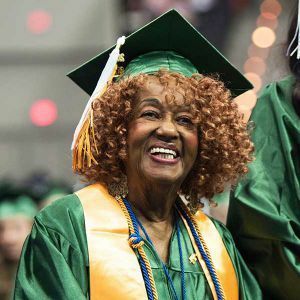 On May 7, the 86-year-old Moore was among the Pensacola State grads to walk across the Pensacola Bay Center stage to receive her associate degree in psychology. Five years ago, a college degree was only a dream for the Harlem, New York, native who dropped out of high school after the 11th grade, married and started a family. However, three years ago Moore felt enough time had passed, and at age 83, she enrolled in Pensacola State College. 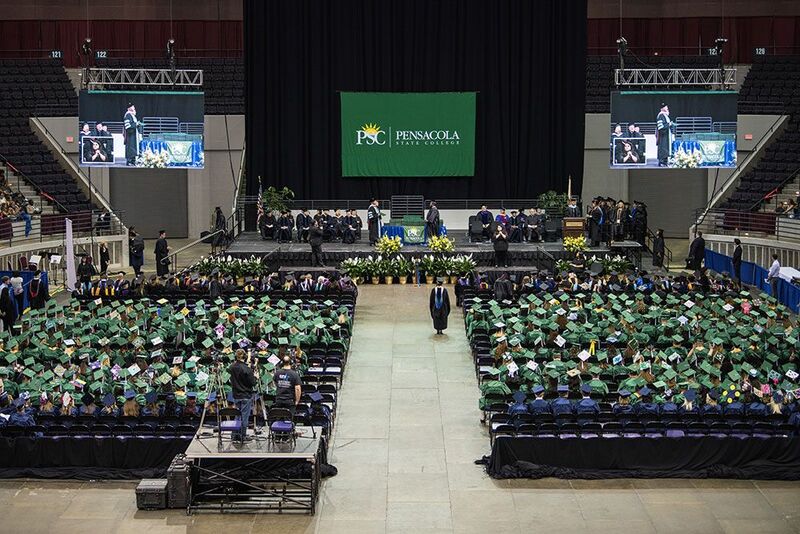 And as she did with everything in life, Miss Cathy – as she was affectionately referred to by Pensacola State students, faculty and staff – was outstanding! A scholarship student, she was a member of Phi Theta Kappa and graduated with a 3.56 grade point average. She also was an inspiration to many of her classmates. A woman of extraordinary wisdom, Moore took her time completing her degree requirements because she didn’t want to overburden herself.